There are three things to consider when you cook your own food at home: time, resources, and equipment. To possess all of them is sometimes hard, especially when you’re a working adult. As much as you like to cook at home, going to the grocery is already a burden. It gets worse when the ingredients you’re looking for are not available in your local supermarket. A lot of the exotic cooking guides available on the web and cookbooks require hard to find ingredients. 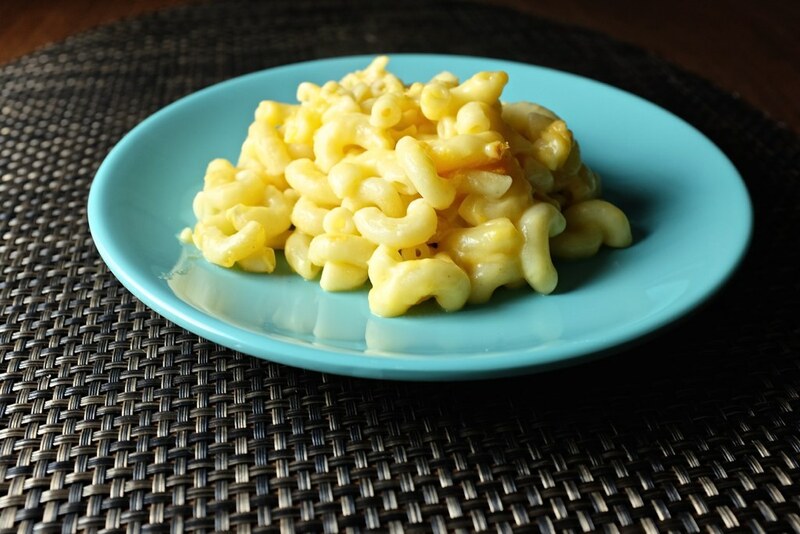 Ah, what’s not to like about the Mac & Cheese? This is a surefire fan favourite to turn frowns upside down. You won’t be needing any more than 10 minutes of total cooking time (boiling the macaroni and microwaving the batter) to get this ready; plus, the ingredients (butter, flour, milk, cheddar cheese) are probably already within reach, so you don’t have to make a deliberate trip to the supermarket and prolong your hunger. You don’t have to step out from your kitchen to satisfy your weekend cravings because there’s a faster and better way to enjoy two of your favourite recipes – pizza and quesadilla. The better news is you create them in a single dish for just 10 minutes. This skillet-style pizza quesadilla will only require you to grab four things: Skillet, microwave, pepperoni and cheese! There is healthy food, and then there’s the finger food. Who says you can’t enjoy both in a single recipe? You don’t have to go all out on vegetables to be healthy. Sometimes, all you need is a sweet potato with a touch of broccoli and cheese. It only requires the basic ingredients such as olive oil, garlic, pepper, and kosher salt – all easily found in your kitchen closet. In less than an hour, you can indulge in this healthy delight. If you hate waiting at a restaurant to eat a perfectly-cooked salmon, we might have the solution for that. You can do it in just 4 minutes at home; all you need is a salmon fillet, mayonnaise, parsley and lemon. Sriracha sauce may sound rare, but it can easily be found in most local supermarkets. In a hurry? Save time queuing for ‘takeaway’ rice toppings; you can do it at home in 6 minutes total. 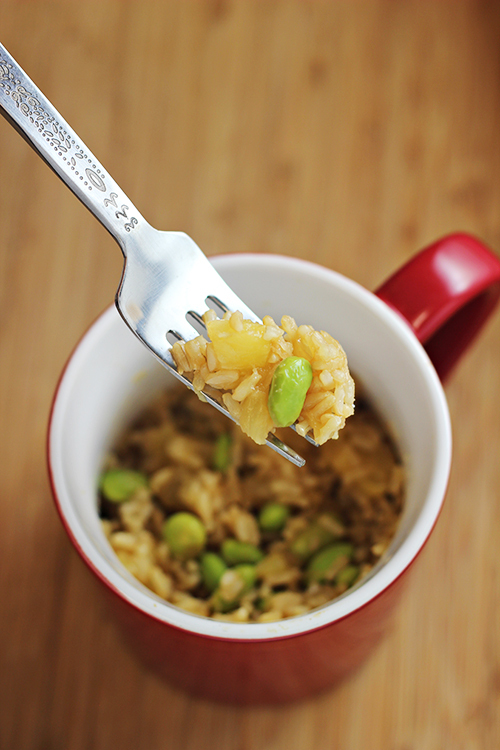 All you need is brown rice, edamame, pineapple chunks, and of course, the teriyaki sauce. Brown rice cooks fast – 5 minutes to be exact – in a microwave set at high temperature. Then, add the diced pineapples and teriyaki and your to-go meal is served. 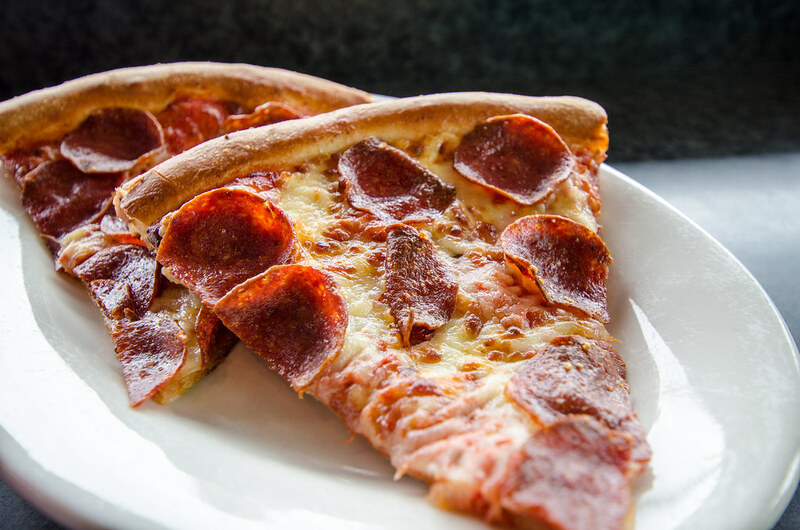 Homemade pizza is actually easy and fast to make. And by fast, we mean 2 minutes fast! You don’t have to go through all the hassle of preparing the crust. 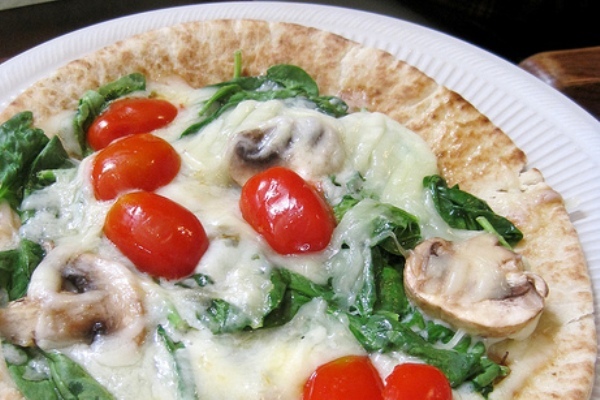 Just grab a pita bread and top it with your favourite pizza toppings such as spinach, mushrooms, mozzarella cheese, grape tomatoes, or basically anything you can think of. Microwave it for 1 or 2 minutes or until the cheese has melted. There are days when you feel too lazy to cook, or even step outside just to buy dinner. During these lazy days, you might want to stick with this 9-minute Egg Fried Rice recipe to keep yourself from starving. 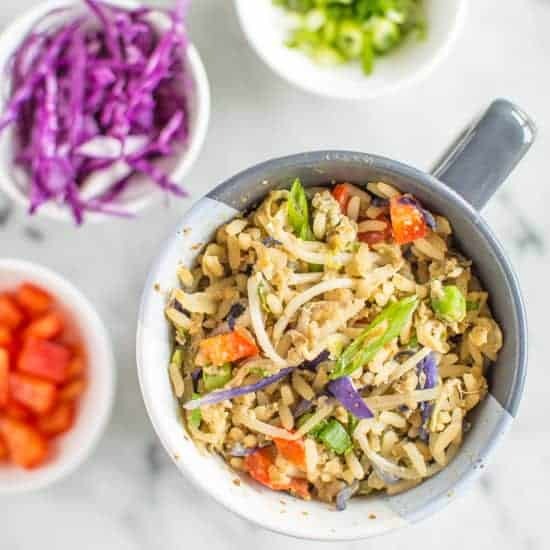 The ingredients are easily found at home like peas, bean sprouts, purple cabbage, basic condiments and, of course, egg and rice. Lay them all down in a mug and microwave. You just had the laziest, yet ever satisfactory meal you ever had. If you’re used to pairing coffee with a delightful cake, there is one way where you don’t have to hit the coffee shop and overspend. All you need are the basic baking ingredients such as all-purpose flour, baking powder, sugar, salt, vegetable oil, unsweetened cocoa powder, and 10 minutes! 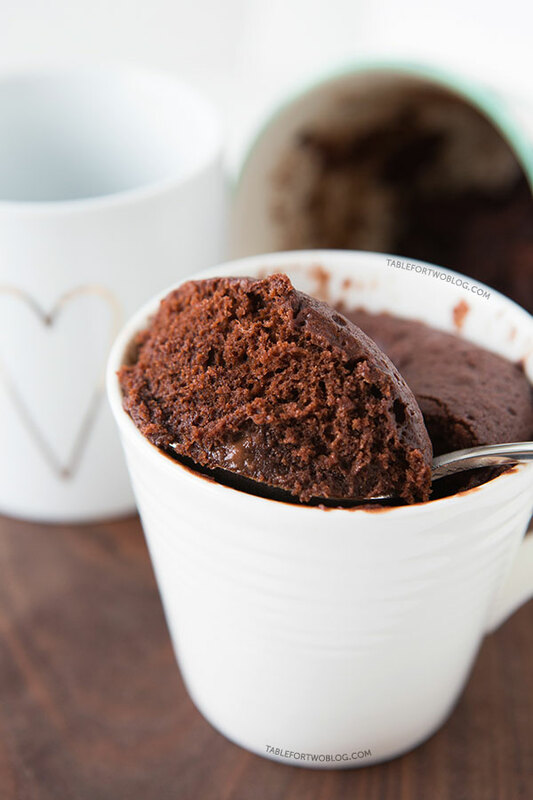 Add some hazelnut chocolate spread or chocolate chips as the finishing touch to the perfect Moist Chocolate Mug Cake. 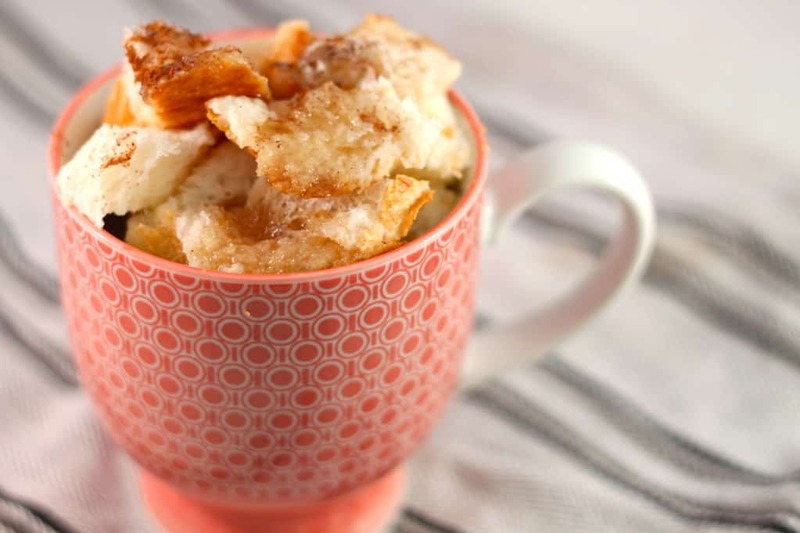 You probably love to have a piece of buttery french toast, but you’ve never imagined enjoying it in a cup. That’s right! There is another way to enjoy french toast. Melt the butter in a cup and slice your bread into cubes. Place it together with the melted butter, then add additional flavouring such as an egg mixture (egg, milk, dash cinnamon, vanilla extract). Microwave for one minute and a half and enjoy your french toast in a cup. A mashed potato is the best easy-to-make side dish. Other than just butter and potatoes, try thinking outside the box because there is another fun way to enjoy a mashed potato: with spinach and feta. It also requires the same amount of time (10 minutes total) when making the common mashed potato, only this is more flavourful and versatile. Cup noodle is an all-time favourite, but it’s unhealthy TTM! This might be the best time to say goodbye to cup noodles and choose the healthier option. With this Broccoli Ham Stroganoff recipe, it will take you about 35 minutes to enjoy a healthy and presumptuous noodle meal. While boiling the noodles, you can start preparing the easy-to-find ingredients (broccoli, flour, butter, onion, and ham) and cook them in a microwave. Fan of eating breakfast for dinner? You might want to hold on to Single-Serve Shakshuka Recipe. This healthy breakfast meal can easily be fixed at home with common ingredients such as marinara sauce, chickpeas, red pepper flakes, kosher salt, and egg. Mix all ingredients, make a well, crack the egg in the well, and microwave for one minute and your Shakshuka is ready to serve.